SEO Services, What To Look For & What To Avoid. Search engine optimization has evolved into a competitive, growing industry and is ever changing. There are plenty of hoaxes and scams on the web. It seems that as the Internet grows more complex, so do the scams, and they come from all over the globe. Choosing the right company can be quite a challenge. There are many factors to consider when hiring an SEO service. This article gives advice on how to select a credible website optimization service and how you can relax in the company of a good SEO expert. Customer service is always the key factor in your overall experience. There are many ways of assessing an SEO service offered. Does the company provide an “about us” page on their website? A reputable online business will provide an informative look at the personal side of their company and who they are. Look for other company details such as, the company address and location. Is this close to you? Will you have to deal with time difference? Even though overseas businesses sounds cheaper, it may have less benefit to you as their knowledge of the local market may be limited. How easy is it to find them online? Avoid a guarantee of instant results or the #1 position at all times. It simply is not this easy. There are many factors to consider when optimizing a webpage. Search engines use different algorithms and their spiders can vary. Any SEO company that guarantees the #1 position in the search results should be avoided. A legitimate company will be straight forward and honest and will tell its clients that no single company can give a guarantee of the top positions in the search results. A desireable SEO service should also provide reports and details regarding the standing of a client’s website and how their efforts are improving your results. They will be able to track the developments of their clients website in terms of keywords, links and their rankings in the major search engines. It’s important to consider the cost of website optimization and weigh in the hours spent doing all those tasks to get your site ranking. The optimization rates companies charge may vary greatly. Search engine optimization is a process which requires research, hard work and dedication. 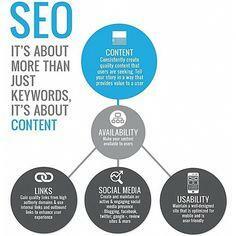 SEO is a continuous task with a lot more to it than just adding keywords to your pages. We help clients build an online reputation, and keep up to date with all the changes in the industry. If you would like to boost your online reach, please give us a call on 0408 007 856 to arrange a free consultation.